Hi all, it has been a long time, but I have finaly released my "big" project that I have been working on the most to the google play store. 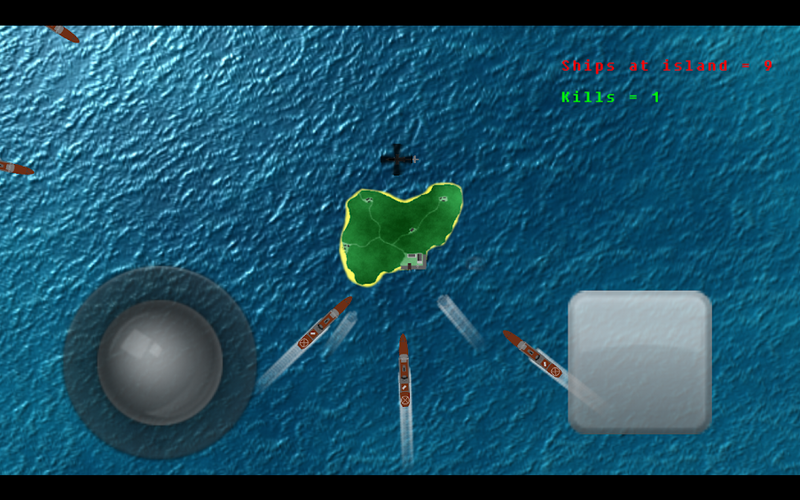 Island defence is a game where you pilot a helicopter, a cobra or a littlebird and defend an island from incoming ships. 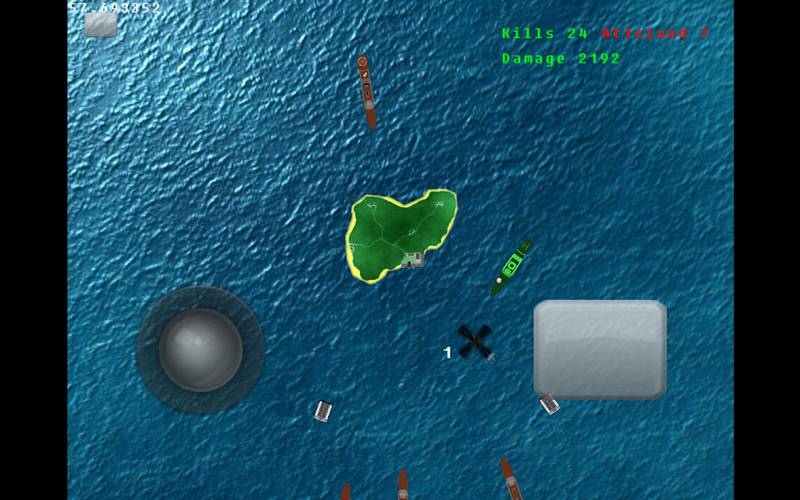 While the cobra is just a helicopter armed with rockets (Wich isn't that bad) the littlebird wich is weaker, allso has controll over a UAV helicopter to help defending the island. First time did i get a forced close app not responding. Second time so have i bin waiting for 6 minutes for it to load? A black screen with text loading cobra for a long while. Seams to freeze when the sea image have loaded. And starts and i cant control the heli to much? Runs very slow on my device? I cant see if it fires bullets? The third time so did the heli simply fly away to the bottom where i couldt control it at all? When i tryed to uninstall it so did android market tell me that they havent managed the install of the app even if i downloaded it from them? I tryed to reinstall it but the same problems? My phone dont like your game? Quote: "A black screen with text loading cobra for a long while"
Quote: "Seams to freeze when the sea image have loaded." Did you tap one of the helicopters? Quote: "And starts and i cant control the heli to much?" Quote: "I cant see if it fires bullets?" Quote: "The third time so did the heli simply fly away to the bottom where i couldt control it at all?" Quote: "When i tryed to uninstall it so did android market tell me that they havent managed the install of the app even if i downloaded it from them?" Thanks for taking your time to give feedback, I will try to fix most of this! Quote: "Did you tap one of the helicopters?" Maybe some info like select your chopper? Quote: "It's a bit hard to see on smaller screens, could that be the problem"
Could be but some bullets where visible and the second time so did it shoot alot of missiles before it whent off screen. Quote: "Try pressing the "back button" and pressing calibrate"
Maybe an calibrate button on the start screen? Quote: "Thanks for taking your time to give feedback, I will try to fix most of this!	" Quote: "Maybe an calibrate button on the start screen?" Maybe some info like select your chopper?" I updated the game, It shouldn't get stuck on the loading screen and I remade the "animation" on the helicopters to only being one image. I just wanted to say that I updated the game once more, now you should be able to zoom in on the helicopter to make the game easier to play on smaller screens. Quote: "The second issue is that this game canes my CPU, its running at about 48%..."
I believe that's a common problem for all AppGameKit apps. I've tried your game. It works smooth in a htc explorer, using the zoom of course. Despite this points it seems a good game for me. Thanks for sharing it and excuse my english. PS. : of course I clicked in the ad! Quote: "-the zoom selection is really difficult, maybe using virtual buttons could be easier to select"
Oh yea, I may need to find a better system for that. Quote: "-using virtual joy in a small screen is crappy. I'd like that using accelerometers not only choose the heli direction but the angle too instead using joy to select angle"
I realize that, but there is not realy any good way to do that. atleast if you want to be able to strafe. I do plan on making multiple control types though. 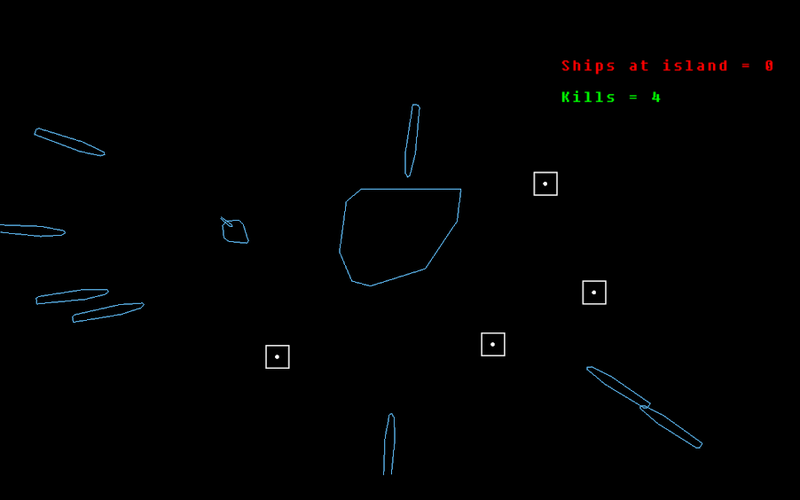 Quote: "-the options screen, the red rect in the right bottom, is hard to read... I don't know what is used for"
It says clear options and is used if the slider glitches out or if I release a new update with new options. Quote: "Thanks for sharing it and excuse my english. PS. : of course I clicked in the ad! " PS your english is fine! I updated the APK, I added some new features to the options screen, made the lider (hopefully) more useable on smaller screens and added options for controlls. 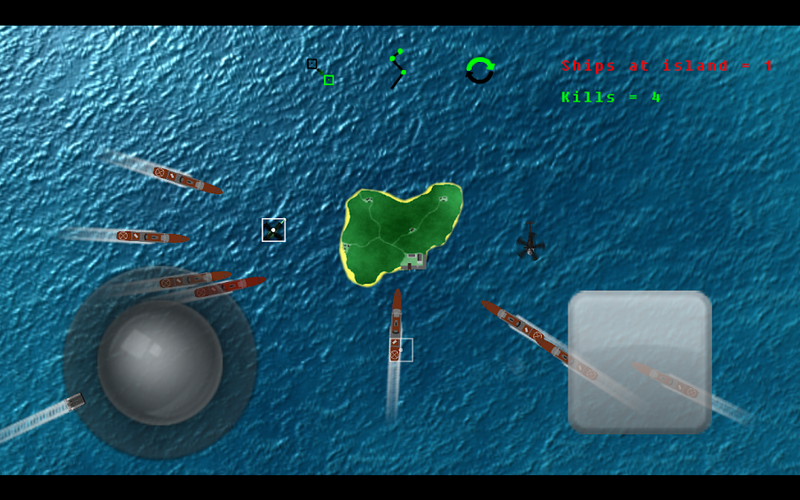 Tried your game on a Samsung Galaxy II phone, it worked well, but things were abit hard to hit, like the menu buttons. I had a similar problem, and solved it, by not only checking the point where the user clicks the screen, but infact the center and 8 additional points 13 pixels from the center of touch, in a circle. That increased sensitivity alot. Did Amiga / AMOS programming in the 90's, just started programming again with AGK. Quote: "Tried your game on a Samsung Galaxy II phone, it worked well, but things were abit hard to hit, like the menu buttons. I had a similar problem, and solved it, by not only checking the point where the user clicks the screen, but infact the center and 8 additional points 13 pixels from the center of touch, in a circle. That increased sensitivity alot." I havent had the time to test your last release but i will try to give it a go later this week . looks interesting, will there be a iOS version ,then I can play it. Quote: "looks interesting, will there be a iOS version ,then I can play it."